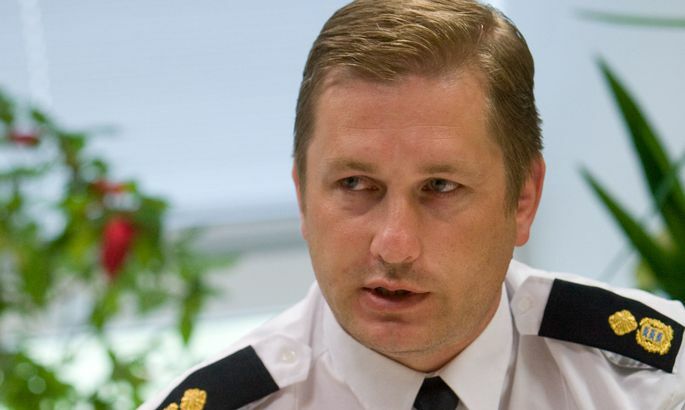 Upon decision by fresh Police and Border Guard Board director general Elmar Vaher, majority of former top managers lost their jobs, law and order chief Tarmo Miilits included. As late as on June 26th article in Postimees, you claimed to have no direct conflicts with Elmar Vaher. At the same time, it was unclear if you should change jobs or not. May we, now, call it a forced move? A month ago, it was announced to me that I was not included in the new team, that I should start seeking for new challenges to utilise my knowhow and skills. What did the process of announcement look like? I would rather not comment on that, via a newspaper. I have reason enough to be indignant, but that is a personal thing with me. What is your advice to your replacement? To take time to think, to not decide from the hip, and surely to do team-work. What, in your estimation, are the greatest challenges in law and order enforcement? Soon we will enter the EU presidency, that is almost upon us. For that, much preparation is needed. Visits of the category of the Afghani president, recently – this will be an everyday affair, essentially. So far, it has been limited to once a year, perhaps. That will definitely mean extra training for the police, plus the required numbers of them, for all cannot be moved over to Tallinn. The rest of Estonia also needing to be kept safe. Surely the current amount of police forces in the streets must be maintained. The amount of motorised policemen will be decisive, motorcades are to be secured. As well as the safety of ordinary city life. It is important to disrupt the city life as little as possible. I filed my papers into Doctoral study, in Tallinn University of Technology. Tomorrow I will know if I was accepted or not. I am «available» on the labour market, as they say. Let us talk a little about the PBGB merger. Interior minister Ken-Marti Vaher has said the creation if it has been justified. How do you view it? These activities have intertwined, mutually accepted as shared tasks. Greater effectiveness, for sure, as substantially more officials are tackling the same issues. May it, then, be claimed the merger has rather been a success? The management of changes can always be criticised: was the change timely, was it planned long enough. But the move was definitely the right thing to do. A small state, with few officials and citizens – this was the absolute best thing to do, to merge agencies of this sort.